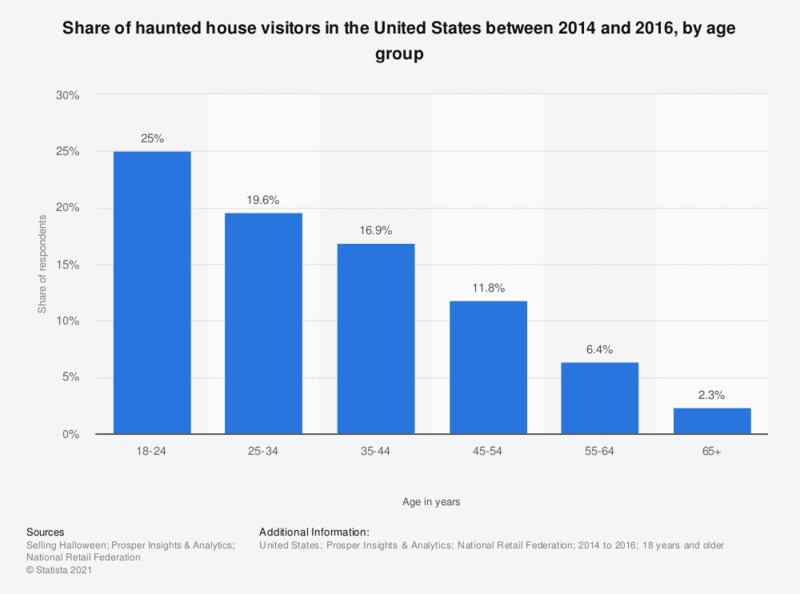 This statistic shows the share of haunted house visitors in the United States between 2014 and 2016, broken down by age group. According to the survey, 25 percent of haunted house visitors are aged between 18 to 24 years. The source does not provide information on the number of survey participants or the method of survey. Does your household do something special on Halloween?